Purchased by the present owner at the 1964 exhibition. Exhibition catalogue, Recent Paintings by L.S. Lowry, London, Lefevre Gallery, 1964, no. 8, illustrated, as 'The Beach at Rother'. London, Lefevre Gallery, Recent Paintings by L.S. Lowry, June - July 1964, no. 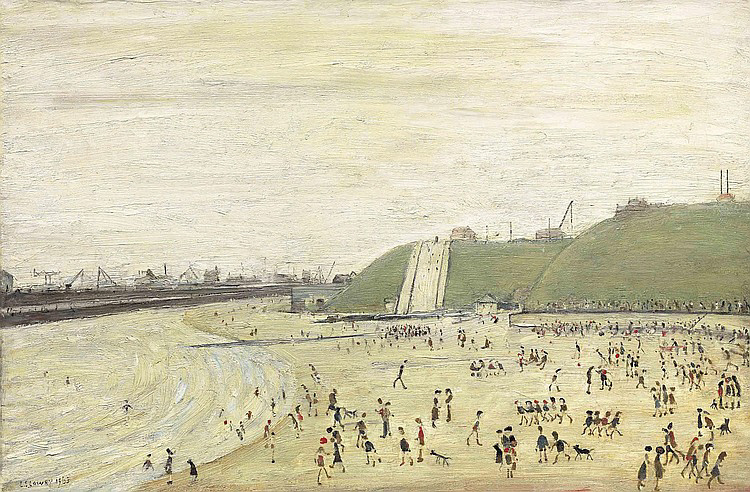 8, as 'The Beach at Rother'.